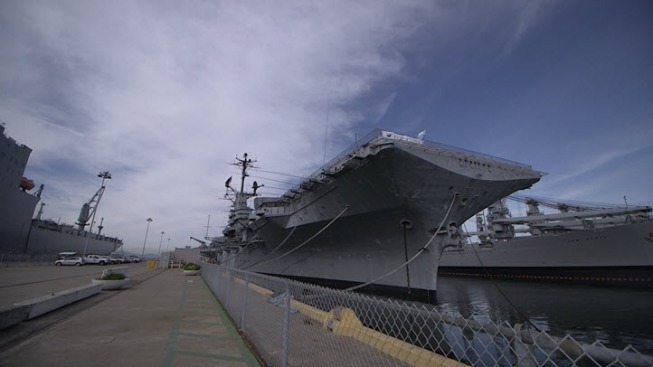 A power outage Tuesday affecting west Alameda caused the cancellation of Fourth of July festivities at the USS Hornet Sea, Air and Space Museum, according to the museum's Facebook page. The museum's post said: "Due to the continuing power outage that is affect the west side of Alameda, today's Fourth of July event has been canceled. Guests may receive a rain check from guest services during normal business hours or by contacting info@uss-hornet.org. We sincerely apologize for this unforeseen inconvenience." Earlier Tuesday, when the power went out, the museum evacuated guests as a safety precaution, the museum said. Among the festivities, the USS Hornet had scheduled live musical performances on the flight deck of the former carrier. There was no word as to the cause of the outage or when power would be restored.